When was the first time you remember being part of a team? Maybe this involved sports or music, or perhaps with a club, your family, or your neighborhood. 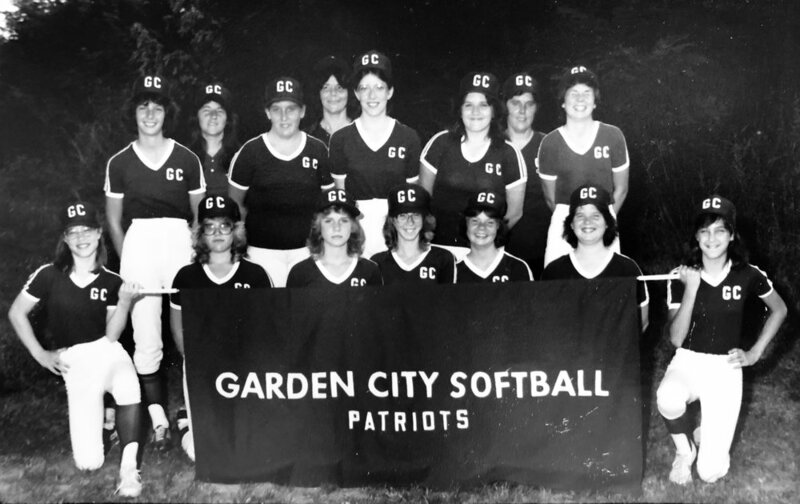 For me, it was the Garden City Patriots. As a kid, and still today, I was inherently curious and eager to learn. My brain craved activity and my nose was in a book at an early age. Our family moved to a new neighborhood at the beginning of 4th grade, our second move in less than a year. I’d recently begun wearing glasses, further reinforcing the model of the “academic kid”. It may not come as a surprise that I wasn’t the first chosen for kickball in gym class. When my dad suggested I join the neighborhood softball team, I was not only surprised, but admittedly nervous. (As I consider this more, it’s entirely possible that he just took me to practice and it wasn’t really presented as an option…) I figured the other kids might be ok with having me on their team for a spelling bee, but they might not be too happy with having to teach me the game of softball. I was still the new kid – unproven outside of the classroom. So the coaches did what any coach would do… they put me in right field. There wasn’t a lot to do there. It was a place to watch from the periphery, occasionally getting a few fielding opportunities in practice when the ball was intentionally hit to me. As there weren’t a lot of left-handed batters in the league, putting me in the game was pretty “safe”. My dad and I practiced throwing, catching and batting. I began to get the hang of when to turn the glove up or down and to catch with my non-dominant hand. I was able to make contact as a batter, and even hit a couple of singles to get on base. My muscle memory was forming, but my brain was still anxious. I got my chance a few games into the season … a high fly ball to right field. It was the stuff of a cheesy 1980’s movie – almost as though it was coming to me in slow motion. A misstep on my part would mean extra bases for the runner. Nervous faces turning to see, knowing my inexperience and perhaps inconsistent performance in practice. I managed to keep my eyes on the ball and made the catch. I don’t know if it is just my memory, but it seemed as though there was a collective sigh of relief, and as it resulted in the third out for the opposing team we could all go back to the dugout. I got lots of high-fives and words of encouragement. My adrenaline was high and I was in disbelief that I’d succeeded in making that catch. I didn’t want to embarrass myself and more importantly, I didn’t want to let my teammates down. This wasn’t just about me anymore; I wanted to contribute to our collective success. As leaders, we are still part of the team. At times, we take on a lot of the heavy lifting, and sometimes all of it. It’s not easy to let others do what we know we are capable of ourselves. Perhaps it’s a concern that the work won’t be the same, or maybe we don’t want others to think we are above any task. We may simply be thinking so much about our own contributions (e.g., not missing that fly ball to right field) that we may not pause long enough to consider how others can and want to make a difference. This has been on my mind a lot lately, especially as Esprit de Merci is still in early stages. In 2017, I made a conscious and life-changing decision to begin this venture, and I felt the need and desire to do so many things myself to get things going. I’m learning a lot and have enjoyed the opportunities to create and grow along the way. However, doing it all on my own is neither practical nor sustainable, and doesn’t allow me to play to my strengths in a way that is optimal for me or for my business. It’s simply not possible for one person to play every position in every moment. Over these past few months, I’ve really thought more about my own team – official and unofficial. I have more people on my team than I can count, supporting me in ways that I haven’t always realized. This includes mentors, colleagues, family members, healthcare providers, coaches, clients, vendors, advisors, community partners, friends and neighbors. Every interaction contributes, and the seemingly “little” things really add up. I know without them, I would not be doing any of this. I’ve learned that when someone offers to help, they generally mean it. And when there are opportunities for them to share their strengths, the outcome is even better for all. I am so grateful to everyone who has supported and continues to be with me, and for my growing team at Esprit de Merci. Each member plays an important role in building towards our future. My energy and enthusiasm has never been higher – I’m inspired for what’s to come! And as for softball… that successful catch was just the beginning of a multi-year run with a great team. 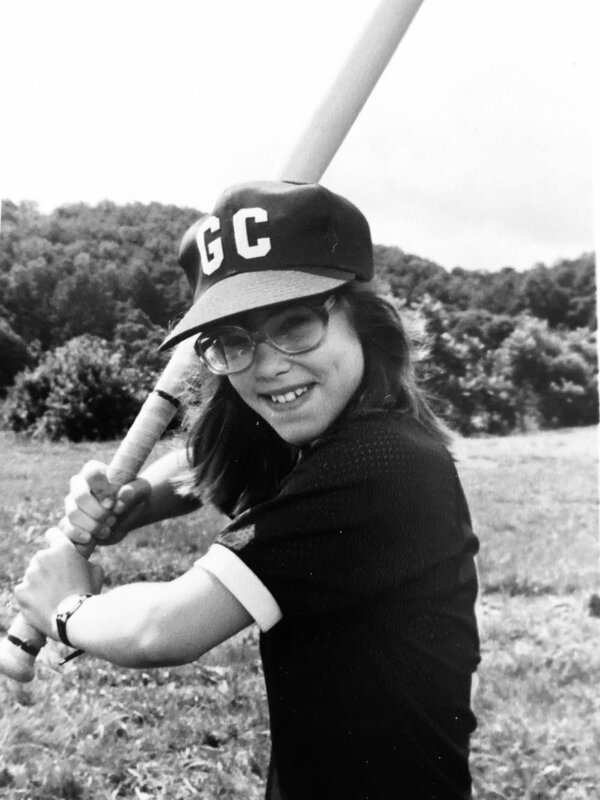 I later moved to the position of catcher – a spot I’d coveted from afar in right field. This played to my strengths. I could see the field from another angle; watching each play unfold from behind home plate was the right place for me. I contributed and received a great deal from the experience, and I’m grateful to my dad for getting me out of my comfort zone. Our team carried home a few league championships, and this experience gave me the confidence to join other teams and take on leadership roles. It's great to win on your own, but when you really think about it, nothing we ever do is really ever on our own. What are some of your most memorable experiences of being on a team? Who is on your team today and how do they make a difference?